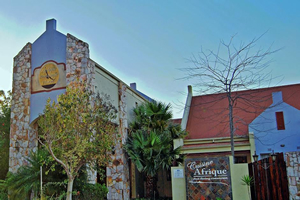 Boksburg conference venues and conference centres including venues for conferences such as Afrique Boutique Hotel, Airport Gran Hotel, Birchwood Hotel and Europrime Hotel. Conference Venues South Africa has a comprehensive list of conference centres and venues for conferences in Boksburg. Whether you need a venue for a business meeting, training course, corporate hospitality event or a conference we have the perfect venue for you. Airport Gardens Boutique Hotel Conference Venue - The Magic starts the minute you enter the gates to Airport Gardens which is nestled in one of the most leafy neighborhoods in Boksburg, just 5 minutes from OR Tambo International Airport. Our amazing garden is just the place to relax, read a book or magazine or do some yoga or just relax and listen to the birds singing their beautiful melodies. Birchwood Hotel and Conference Centre - The Birchwood Hotel and Conference Centre has 23 meeting rooms and has become renowned for its expertise in delivering outstanding service ..
Boksburg is now part of the Ekurhuleni Metropolitan Municipality that includes much of the East Rand. Boksburg boasts a diversified mining and industrial centre. It has become one of the most prominent gold-producing towns on the Witwatersrand.